Dazzle sellers with an open house like no other! 3D Showcase is an online experience for views to move through a property and see it from any angle. Matterports distinct Dollhouse view gives you a completely unique sense of the property. 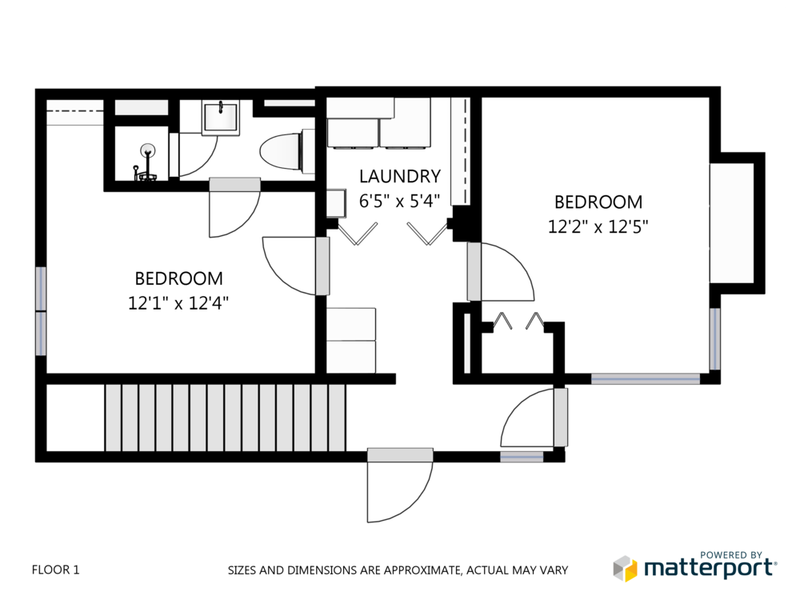 Professional high resolution black-and-white floor plans. When we arrive to take photos of your property, All staging and cleaning must be done prior to our arrival. We are unable to spend time at the home while it is being cleaned, dusted, de-cluttered, etc. If you are interested in a pre- photo shoot consult we have a package that includes that! During the shoot it's important that everyone including pets are out of the camera's eye so that they do not get into the photos or video. We prefer people and pets to be outside of the home and away from any windows as well. High Resolution Images with your tour in one shoot. * 3d tour hosting is for 1 year. $20/month afterwards. ** Interior photos are taken from 3D scans.